Celebrate the start of lobster season in beautiful Key West with a four-day long party! The Key West Lobsterfest starts August 9 and continues all weekend through the 12. This event is full of fun and fresh-caught lobster, so mark your calendars and don't miss out! There’s no better was kick off this four-day celebration than with a great lobster boil at The Roof from 5 p.m. to 8 p.m. Each patron will receive over one whole pound of boil that includes lobster, shrimp, andouille sausage, sweet corn, new potatoes, and crawfish with salad and garlic bread. You can also enjoy delicious drink specials while listening to live entertainment. Make sure to book your seat early as space is limited! The price per adult is $29.95, and children 11 and under eat for $15.95. If you’re want to see the perfect sunset,book a sunset cruise with Fury Water Adventures. At 7 p.m., set sail for an hour and half to enjoy snacks and complimentary beverages while taking in the gorgeous view. Adults tickets are $42.95 each, children ages four through 10 are only $29.95, and kids under three are free. Cool off from the South Florida heat in the beautiful reefs and quench your thirst on a three-house Catamaran sail and snorkel session with refreshing beverages with Fury Water Adventures. Adult tickets are $42.95 each, children's tickets are $29.95, and kids under three are free. Once you’ve spent your time in the water, join the legendary Duval Crawl on Duval Street starting at sundown and lasting til midnight. Tickets are only $20 a person and include a T-shirt, lanyard with souvenir Corona bottle opener, and drink specials in all 12 participating bars around Key West. Part of the proceeds from ticket sales go to the Key West High School’s Scholarship Fund. On Saturday, August 11 from noon to 11 p.m., come to Duval Street for the street fair! Have fun with the whole crew and enjoy vendors of all kinds including arts, crafts, tons of merchandise, and loads and loads of lobster, of course! While at the street fair, find your way to the intersection of Duval Street and Greene Street from 1 p.m. to 10:30 p.m. for a free concert that everyone is sure to love! Alphonse, Cool Breeze, and The DurtBags are all scheduled to appear. As the Key West Lobsterfest ends, enjoy a Sunday brunch at First Flight Island Restaurant & Brewery from 10 a.m. to 2 p.m. 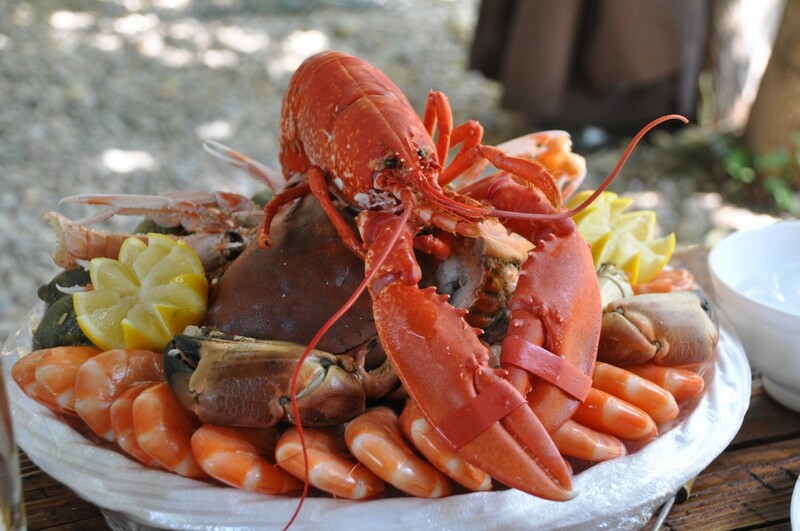 The menu includes lots of lobster; specifically, lobster eggs scramble, lobster enchiladas, smoked bacon, homemade hash browns, cheesy grits, chilled lobster gazspacho, caesar salad, and fresh tropical fruit. To quench your thirst, bottomless mimosas and Bloody Marys will also be served. Tickets start at only $50 without drinks and $70 if you opt for bottomless beverages. If there's one food that Key West is known for, it's their fresh seafood, so come celebrate some of the country's best lobster in August during Key West Lobsterfest. For more things to do near Miami like the Key West Lobsterfest, register on 305area and connect to everything going on in the Miami area.